I'm an unabashed fan of Kirby Vacuum cleaners. (Kirby made in the USA vacuum cleaners). These machines are the semi tractors of vacuum cleaners. They are built to last. This post covers changing the brush drive belt on a Generation 6 machine. This is the only repair I have had to make for the five years I have owned this machine. Kirby had made this process quite unique and simple, with no tools needed. 1) Flip the nose piece on the front of the machine up to reveal the belt on/off indicators and lever. 2) Open the belt turning lever on the front of the machine and rotate it counter-clockwise from the "belt on" position (where the green arrows line up) to the "off" position (where the red arrows line up). 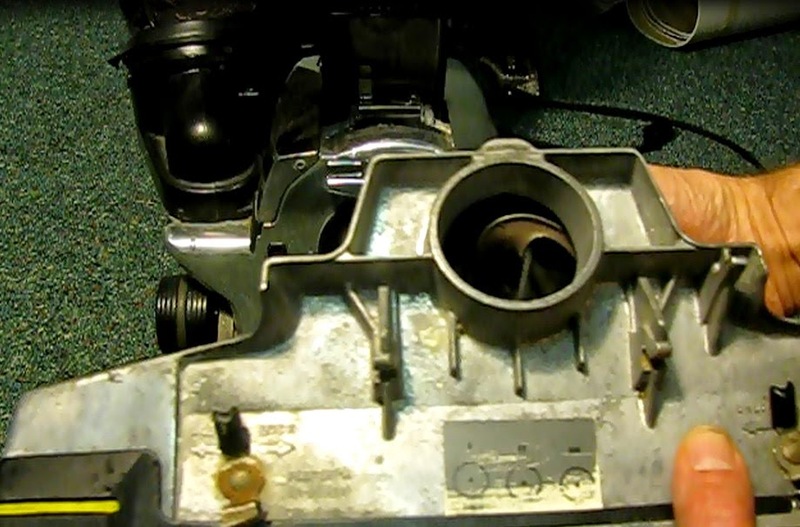 Turn the lever from "belt on" to "belt off"
3) Rotate the lever above the brush assembly 180 degrees counter-clockwise to release the brush assembly from the body of the machine. Remove the brush assembly. 4) With the assembly off the machine, turn the belt position lever back to "belt on" position to release the belt from the curve shaped belt feeder. View of belt in "off" position, resting on the loader arm. Rotate back to "on" now. 5) Release two small black levers holding the rectangular lower piece below the brush. This piece contacts the floor during vacuuming. Rotate the piece away from the holding levers until it detaches from the brush housing. 6) Note the height position of the brushes. Height indicators 1,2 and 3 are stamped into the plastic cams found on both ends of the brush. Using the belt (unless of course, it's broken) pull the brush assembly out and remove the belt. If the belt is broken, it will be necessary to pull the brush out by hand. Note the brush position indicator before removal. This one is at position "2"
1) Place the new belt on the brush roller. Use a genuine Kirby belt. Online knockoffs are likely to come off. 2) With the same numbered indicators facing up on the height cams, press the cams into the slots on either end of the brush housing. The brush is also directional with different sizes to match the size of the guides on either end. 3) Re-install the metal rectangular bottom piece. Lock the levers to hold it in place. Note the position of the brushes. They should protrude a few millimeters above the bottom plate. 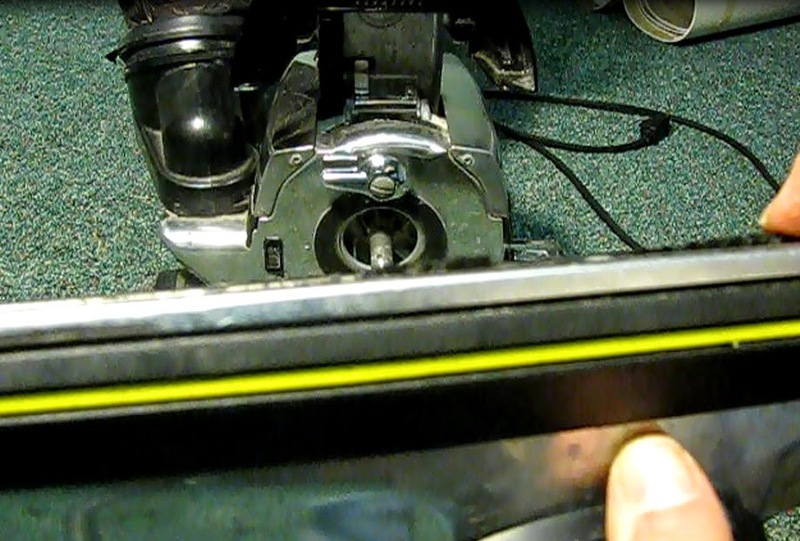 If they are too low, it may be time to adjust the cams to keep the machine brushing the carpet effectively. 4) Rotate the belt position lever into the "Belt off" position. The belt loader will stage the belt for seating on the motor shaft. 5) Place the brush housing back onto the machine. A half circle casting on the housing will rest on a bar on the machine. When it seats, lock it in place by tuning the locking lever clockwise. 6) Rotate the belt positioner clockwise until it ends in the "belt on" position. 7) Close the nose hatch. 8) Test the machine. 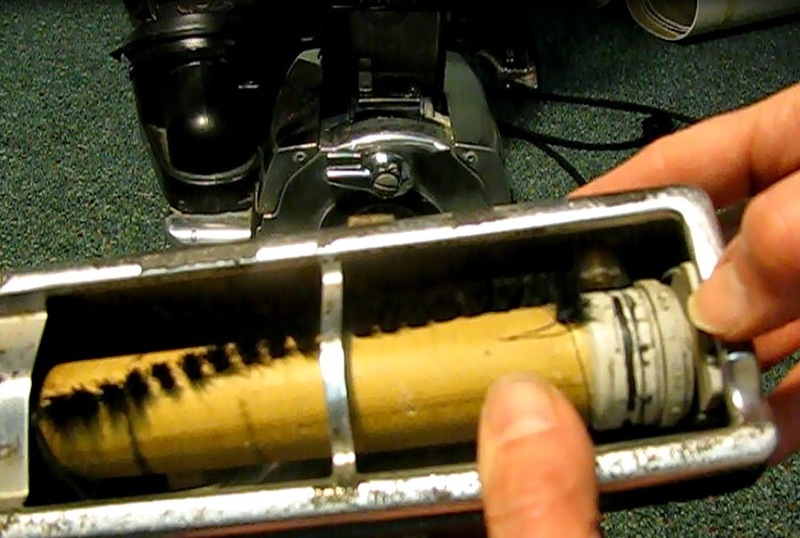 Take a look underneath and make sure the belt is turning.Vacuum away. We are impressed by your clear description of your topic. Thanks for the information in your vacuum cleaner blogs. This is excellent posting and i have a same blogs.Then go to the site listed in the post. It has everything how to replace kirby vacuum cleaner your need. great instruction. I've tried with my vacuum cleaner at home, but I couldn't turn the level to "belt off". I think it gets stuck or something. I'll try again. That lever is probably stuck from being in one position so long. These machines are tough,though. I would try to turn it (gently) with a pliers to get it going. Good luck with it and I hope this helps. Hello,The less dirt that enters your home,the less your vacuum will need to pick up.Lay mats at passages and force a no-shoe policy to keep rottenness from being tracked indoors.Likewise,dust furniture,blinds, and windowsills before you vacuum,so the vacuum will pick up fallen particulates.Have a good day. Thank for sharing! Now I know about vacuum cleaner in detail. 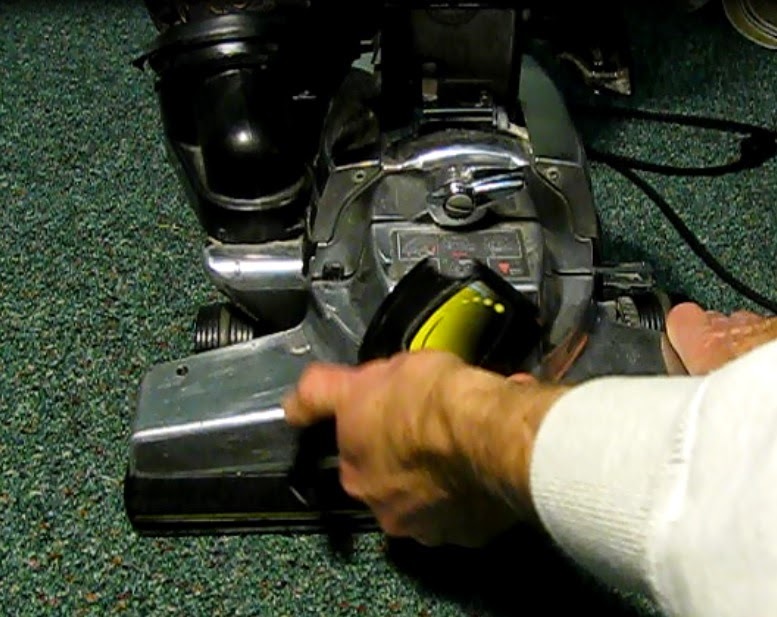 You're skillful at fixing things, thanks for sharing about how to replace kirby vacuum cleaner belt. You're welcome. I'm glad you found the post,used it and commented. Have a good one! Thank you for your nice and informational article. Many of them trouble to change the belt. I like this post. Thank you for share this post. Hope many of people can get benefit from this post. It quite hard for me to do it but I'll try with my vacuum sealer. Thank you for posting this info! It help a lot! You're welcome. Thanks for reading the post and commenting. One of the most beautiful stones on the planet, marble makes for an eye-catching and durable flooring material. Canister vacuum cleaners have a motor and a bag. You can carry it up and down the stairs with ease and also reach under your furniture with ease. The vacuum cleaner bag is changed out with a new one when full and the cup emptied out when the dirt reaches a certain level. Nice guide. Thanks for sharing the helpful info and that can someday when my vacuum cleaner have problem.